Dedicated to supporting and providing resources and funding to assist rescue and special needs foster care. A not for profit professional agency with a focus on doing things that matter in support of like minded rescues and foster carers for special needs animals. - HOPE for the best. - ACT with compassion, creativity and in collaboration with others. Do things that matter. - LOVE unconditionally and with abandon, especially the abandoned. 5. Welcome to our family! 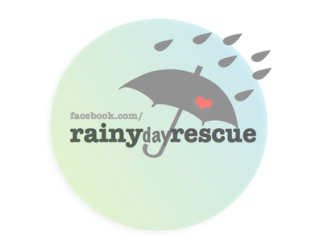 If you are successfully adopted by us, and are selected to bring a Rainy Day dog into your home, you will have the full support of our team of experienced carers, veterinary and behavioural specialists and sponsors behind you. No animal will leave our care without a thorough veterinary examination and health report, microchip registration, vaccination and de-sexing certificates, and guarantee.